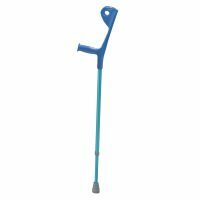 The Euro Style lightweight aluminum forearm crutch by Drive Medical adds style compared to traditional forearm crutches. The design features a one piece molded forearm cuff and hand grip assembly which can be height adjusted in 1″ increments to allow for personal comfort and sizing. 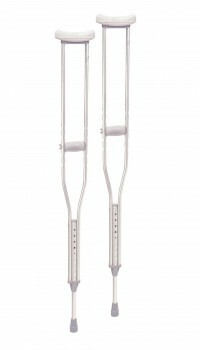 At 1.5 pounds each, this crutch is lighter than traditional style forearm crutches. The product is available in two stylish colors: silver and blue and can meet a wide range of users.